I want you to have a great conference! 2. Most of the time you act like an adult. 1. Communicate/socialize. The best reason to attend a convention is NOT for the training it’s for the networking that you will be exposed to. Remember you are all at the convention for similar reasons everyone has something to talk about so TALK! 2. Never eat/Drink/Hang out alone. Conventions take place in some really cool places and places you may be tempted to go see the sites. If so then go with others from the convention don’t go alone. See rule #1 always be social always have fun. If you want quiet/vacation time away from it all do it after/before the convention when everyone is gone. 3. Know your limits. If you can’t stay up till 2 a.m. and still get up for a 6:30 a.m. session the next day then don’t worry about it. Don’t feel that you have to see/do/be part of everything. If you stick to rule #1 you are going to do just fine even if you were not at the fountain at 2:00 a.m. when someone fell in. Also remember in this day in age most things end up on youtube. 4. Be respectful/helpful. Again you are all in this together take care of your fellow attendee. Help them out when they may have forgotten rule #3. 5. Give feedback; Give it to the speakers, sponsors and organizers. Conventions thrive on the feedback they get from the attendees. We can’t make good events without that feedback so be suggestive and helpful in your message. Things like “I really liked that the presenter was energetic and funny in her session”. Not “This presentation sucked” that doesn’t help anyone get better. Ok pretty simple 5 little rules. This is not a long extensive list to remember or memorize it’s just simple common sense and really that’s the best thing you can do at a convention use common sense and be social. If you would like to read more first timers post here is a good list and a link to the PASS first timers page. Did you know that the PASS Summit is right around the corner? Well Ok it’s in November but The Early bird discount expires on June 30th! 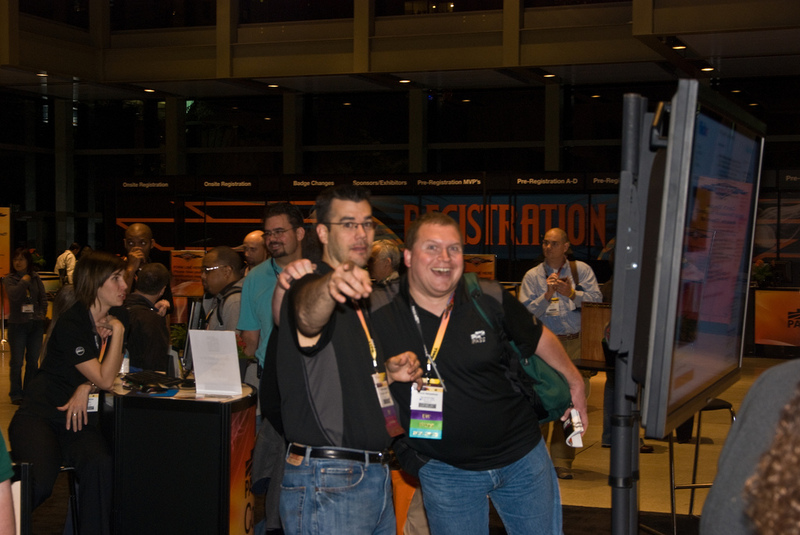 Now is the time to register for the Best SQL Server summit around! They have also just announced some of the sessions on the Summit Website I would suggest taking a look at them. In my opinion there’s nowhere you can get so much great training on SQL server and networking with more SQL Dba’s then the PASS Summit. This also will be our largest Summit ever and the 10th summit in PASS’s History! I almost forgot the Keynote Speakers are listed also. Typically Keynote’s are not the best sessions of the conference for me but with Ted speaking on the future of SQL Server I think that’s not going to be one to miss. I also met and spoke with Tom Casey at a Ms event recently and I think that will be a great presentation he’s interested in everything about SQL Server and should be an excellent keynote speaker. Check it out and Get Registered! I hope to see you there!